Africanized bees are typically much more defensive than other races of bees, and react to disturbances faster than European honey bees. 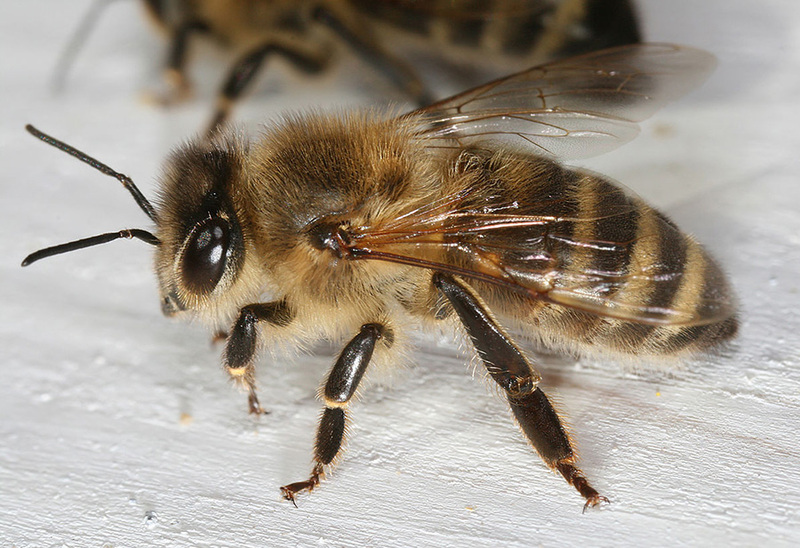 They have killed some 1,000 humans, with victims receiving ten times more stings than from European honey bees. They are more likely to attack a perceived threat and, when they do so, attack relentlessly and in larger numbers. Also, they have been known to pursue a perceived threat for a distance of well over 500 meters (1640 ft). Honey Bees break down into two classes, the worker bees (numbering up to 80,000 in a single nest) and the Queen Bee. Unlike wasps, they create hives out of wax (not a paper-like substance). Working bees feature a nearly all-black head with a body coloring of golden brown and black with patches of a dull orange. Yellow bands are easily distinguishable on the abdomen and wings are clear. Their entire bodies are covered in tiny hairs with these being most notable on the head an body.